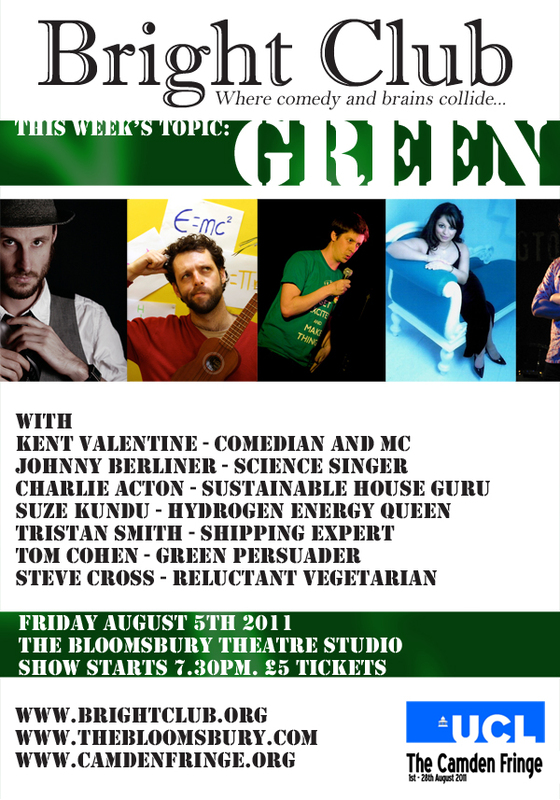 This month Bright Club moves to the Bloomsbury Theatre Studio as part of the Camden Fringe. Two gigs will take on subjects keen to Camden’s past and future. These gigs start at 7.30 PROMPT so be early! Andy Zaltzman – Comedian, MC, raconteur, sport-lover and person. Jake Rodrigues – musical whirlwind, creator of chaos and person. Louise Crane – biomedical image researchers, geek photographer and person. 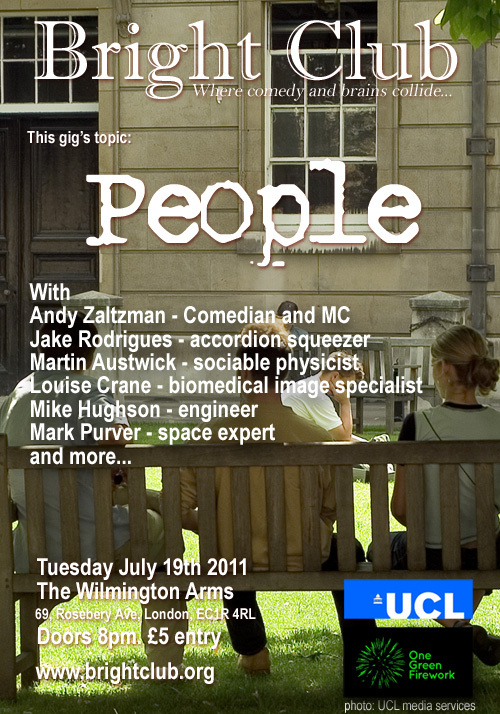 Martin Autwick – social physicist, Boris bike mapper and person. Mike Hughson – engineer, vaccine maker, researcher and person. Mark Purver – astrophysicist, Bright Club Manchester star and person. The gig is at 69, Rosebery Ave, London, EC1R 4RL. Doors 8pm. £5 for a ticket.